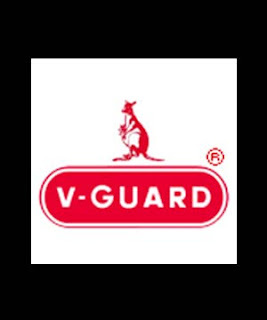 In Q3FY2011, V-Guard Industries (V-Guard) recorded its highest ever quarterly revenue driven by higher sales in the Non-south region and a whopping growth in the sale of products like cables and water heaters. The Non-south region accounted for 21% of the sales in the third quarter of FY2011 as compared to 17% in Q3FY2010. The company’s interest cost jumped due to higher working capital borrowings during the quarter. Its working capital requirement is expected to go up further, in line with the growth in its sales. The tax rate was lower because of the rising contribution from its new Kachipuram plant, which enjoys tax benefits. However, aided by a lower tax rate and a muted growth in depreciation, the company registered a growth of 62.4% in the quarter under review. The company has continued to deliver results in line with its growth guidance. We are also positive about its various marketing initiatives that are helping in brand building and smoothing its foray in the Non-south markets. However, we have lowered our target multiple to 10.5x from 12.5x in view of the macro headwinds (eg input cost pressure). We have also rolled forward our target multiple to the average of the FY2012 and FY2013 estimates. At the current level, the stock is trading at 9.3x and 6.3x on its FY2012 and FY2013 estimate which looks attractive given the company’s sound growth trajectory. We maintain our Buy recommendation on V-Guard with a revised price target of Rs237.